Rated 5 out of 5 by Christy84 from Fantastic Toner Read about this in an article somewhere and decided to try it. The difference it made in my complexion started an obsession with Clarins products. Rated 5 out of 5 by sempermori from Miracle Toner I don't usually write reviews, but I can't believe how great this product is. I have used Clarins products for 15 years now. I have the worst combination skin. Dry cheeks and nose and oily chin and forehead. I use topical retinoids to keep my skin clear and they can be really drying. This toner somehow exfoliates and moisturizes leaving both dry and oily zones feeling great. My skin always looks and feels awesome after using this toner. Clarins, please do not ever get rid of this product!! Rated 4 out of 5 by sf204 from Great product, would definitely recommend to friends. Rated 5 out of 5 by neelmalhi from Love this toner! LOve love love this toner. The smell is amazing and its so gentle to use everyday. As it's well known that you need to hydrate your skin when wet, I apply this toner and throw on lotion and my skin is super hydrated. 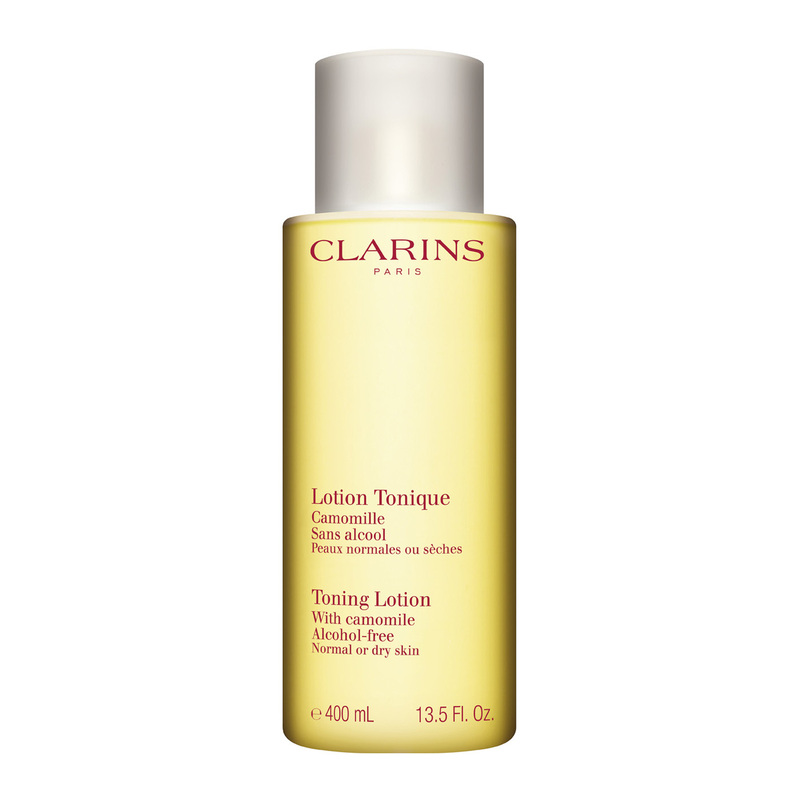 Rated 5 out of 5 by MsSmile from best toning lotion I already used this luxury size Camomile toning lotion before. This is third time order. I ordered this jumbo size each time double bottles. This is the best quality toning lotion and really good size. This always makes my face very fresh and very good moisture for my face skin. And this is really gentle too. I really enjoy using this and i feel secure for my face. I really love this Camomile toning lotion. Rated 5 out of 5 by juliecn from It is good. I use it for more than 5 years.I like its smell.and it an be obsorded quickly. Rated 5 out of 5 by betsy from great toner Have used this toner (or its predecessor) for 20 years. Love the fact that it does not contain any alcohol, and leaves no residue.